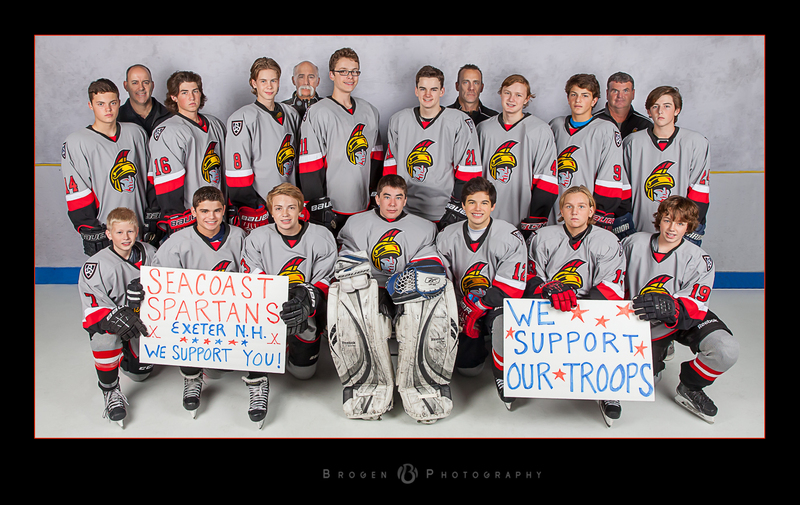 Seacoast Spartans/Lightning Youth Hockey & LEGACY Global Sports: Class Acts We wrapped up an awesome week in NH photographing the Seacoast Spartans & Lightning hockey organizations in Exeter NH. The final team of the evening, Boys 2001 Select, showed their support for our troops by participating in the Jay Project collecting items to be shipped overseas that soldiers put on wish lists. Being a US Army veteran, "The Boss" was personally touched by the acts of these great young men, who are obviously surround by parents and coaches who have taught them well. Thank you to all of the parents, staff, coaches, management and players for a great week...GO Spartans!